No. 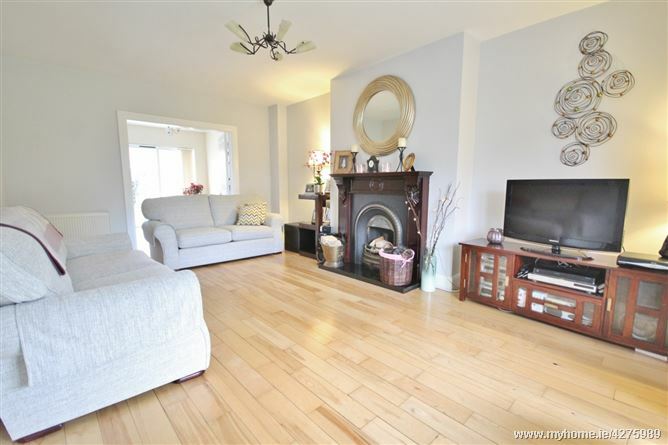 78 Oak Glade is a lovely family home, in a quiet cul de sac, with generous accommodation extending to c. 112 sq. mts / 1,205 sq. ft. 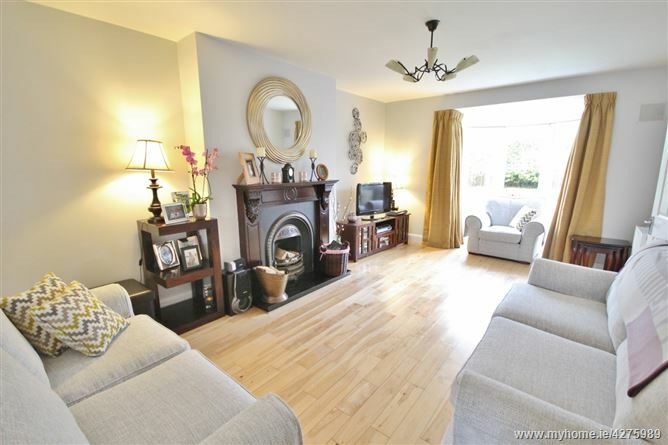 The living room with solid beech flooring has a large bay window to the front, with double doors opening to a very generous kitchen/dining area. 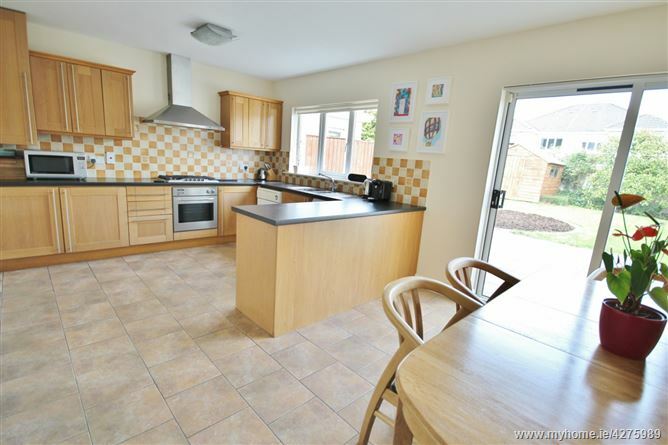 The kitchen is solid oak shaker with tiled floor. 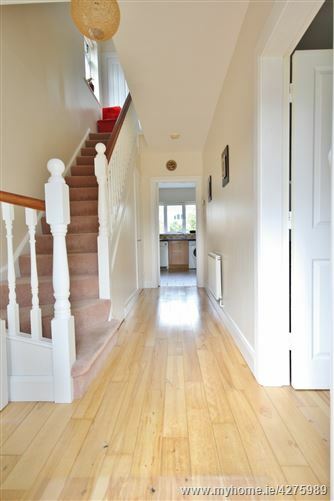 There is solid beech flooring in the hall and living room. 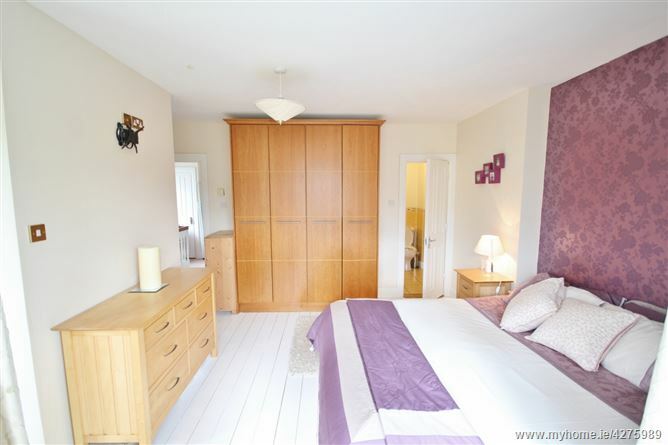 Upstairs is very impressive with the master bedroom spanning the whole front of the house including a large bay window. 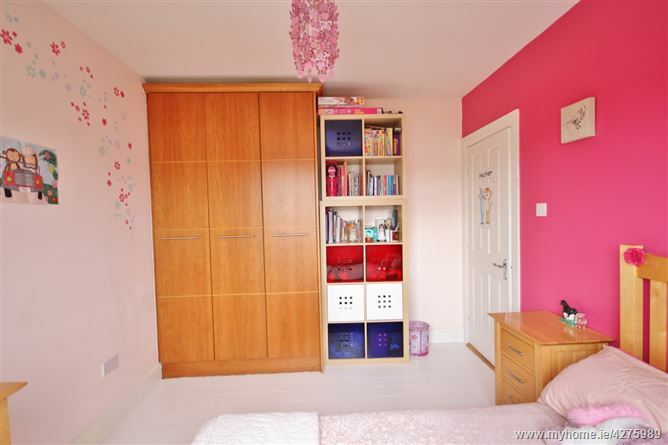 The owner cleverly added a walk in wardrobe/study, giving the buyer plenty of storage space. The bathrooms and en-suites are all fully tiled and there are fitted wardrobes in the other two bedrooms. 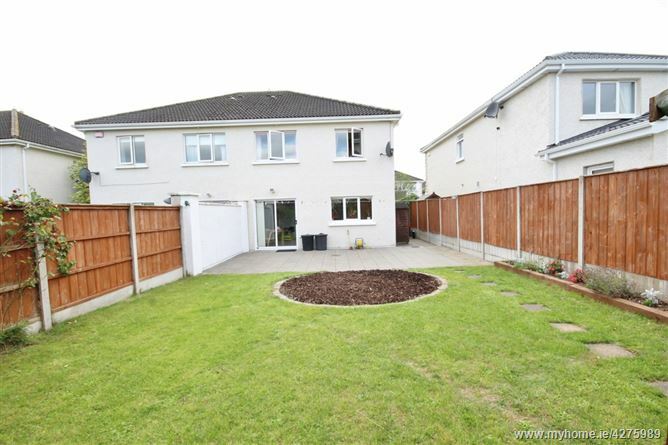 Outside there is a large rear patio area and gardens with planting and shrubbery. 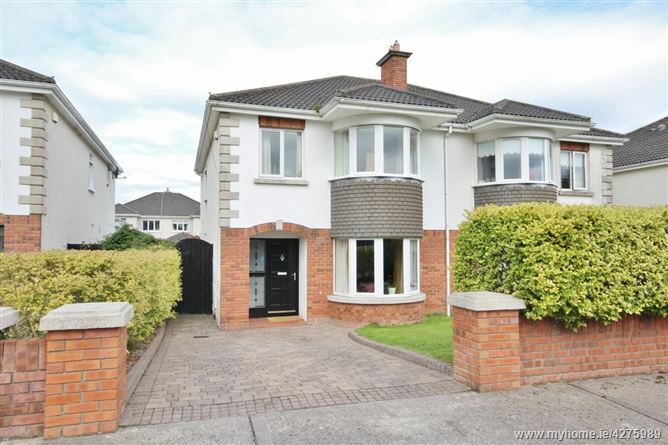 This is the perfect opportunity to purchase a home in the mature and much sought after Oak Glade development. 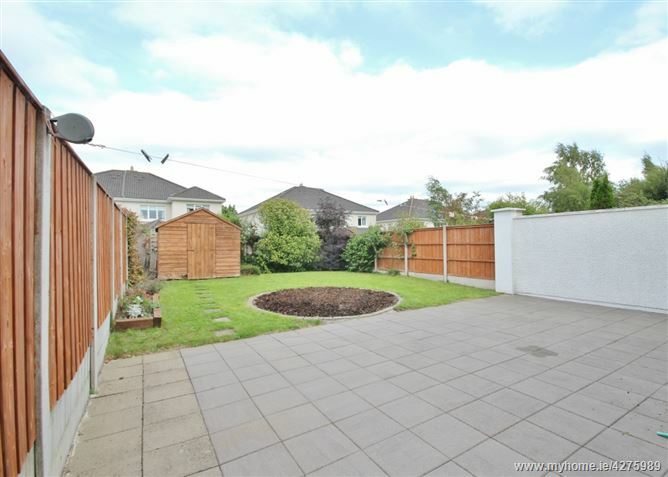 Located on the beautiful blessington road with mature trees and green fields, Oak Glade is a short walk to the centre of Naas with all that it has to offer. Vibrant shops, a host of eateries, pubs schools and churches are all on your doorstep. Punchestown racecourse is around the corner as is the renowned Killashee Hotel and Leisure Club. Golf is well catered for with a host of courses to choose from. It is next door to Craddockstown Golf Club, Palmerstown House, Naas Golf Club and not forgetting the infamous K-Club. Commuting to Dublin is easy with a regular bus service and the train at Sallins train station. 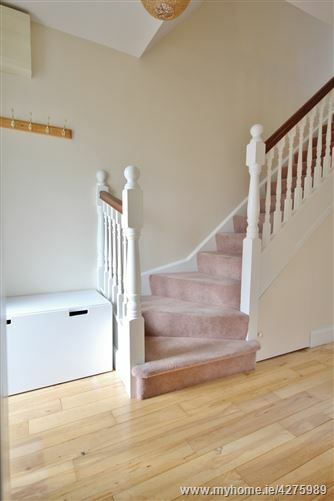 Entrance Hall: 4.62m x 2.01m. 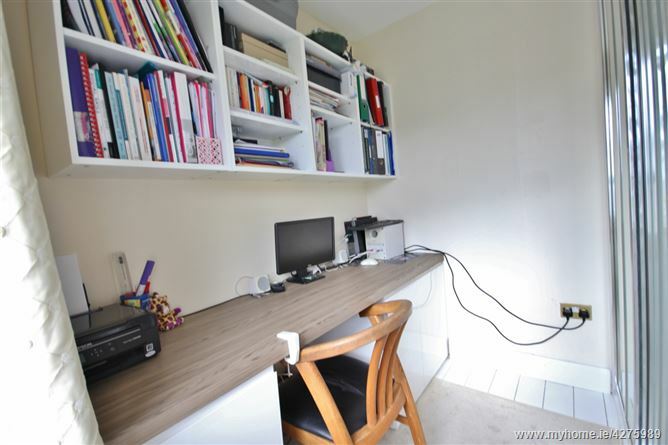 With solid beech flooring and guest w.c.
Kitchen/ Breakfast Room: 5.86m x 3.51m. 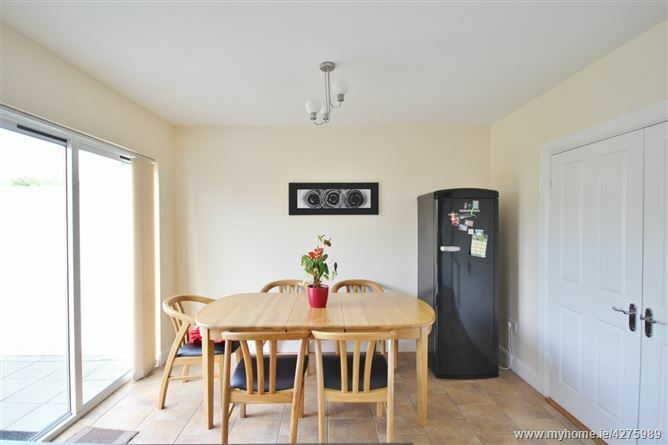 With oak shaker units, oven and gas hob, extractor fan, tiled flooring and patio doors to garden. Upstairs: Landing with hotpress and attic access. Bedroom 1 (Master): 4.50m x 3.77m. 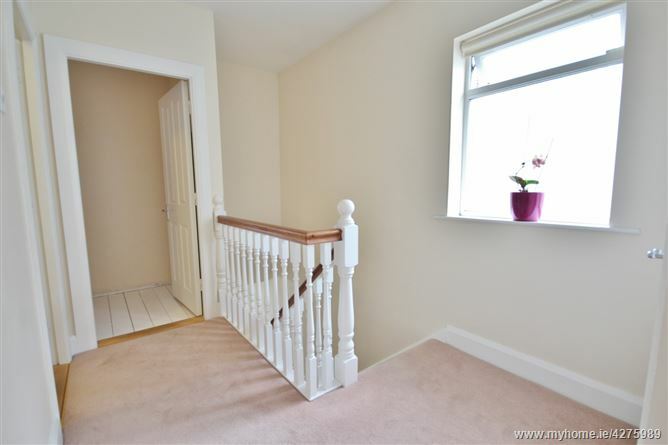 With bay window, walk in wardrobe/ study, painted T&G flooring and en-suite. Walk in Wardrobe/ Study: 2.02m x 2.35m. With mirrored sliderobe wardrobe and desk with undercounter storage. 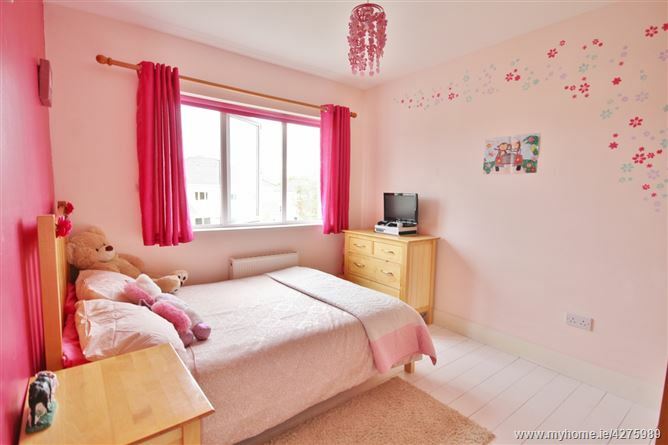 En-Suite: 1.92m x 1.62m. With shower, w.c., w.h.b. and fully tiled. Bedroom 2: 3.46m x 2.89m. 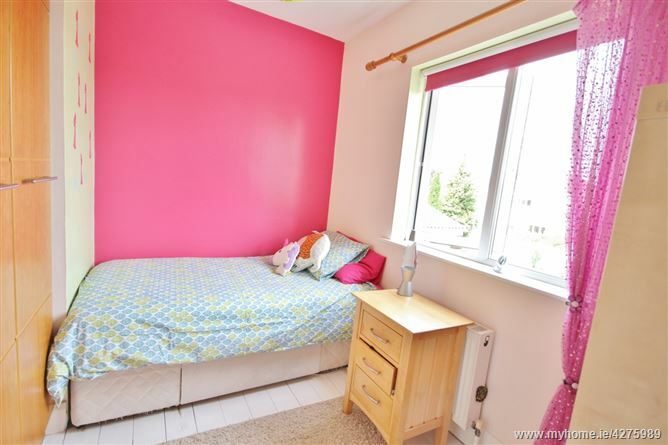 With fitted wardrobes and painted T&G flooring. Bedroom 2: 2.93m x 2.44m. With fitted wardrobes and painted T&G flooring. 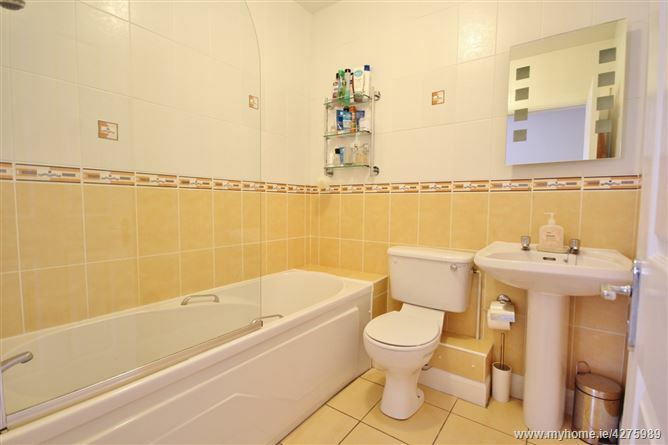 Bathroom: 1.90m x 1.89m. 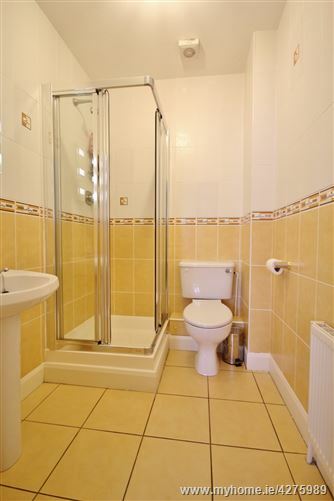 Fully tiled with bath with overhead shower, w.c. and w.h.b.